Finds are what helps to date a site and provide an idea of the activities that took place. You should be able to recognise various types of finds and sub types within artefact groups. Select the correct process and organise in a structured way that allows cataloguing. Washing, drying, storage and listing finds is dependant on the type of find. Learn the basics. PRINCIPLE: Carry out careful supervised sorting, initial cleaning (only if appropriate), recording and storage of recovered artefacts. Novice – Can recognise differences in major artefact groups and can sort the finds into groups and as part of a supervised team can assist the finds officer. 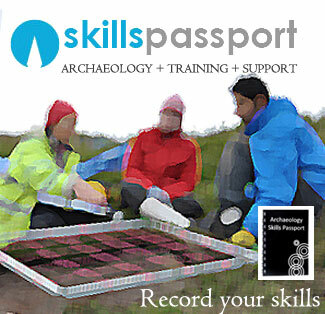 Proficient – Will carefully sort and organise the finds which requires no further checking by the finds officer and can recognise patterns and anomalies within an assemblage and may inform the progressing excavation. Think about what you are cleaning – don’t scrub old glass or painted wall plaster – as the finds that go into the water will be fewer than went in. Keep all your labels with your finds – this is the only way to know where they are from. If you lose the label, then you may as well throw the finds away! Only work on one context at a time, and have a clean label to go with the drying and clean finds, which can then be rebagged once dry.